Art Widmann started the firm in 1988 after he left his position as a senior financial analyst for CDA Investment Technologies. 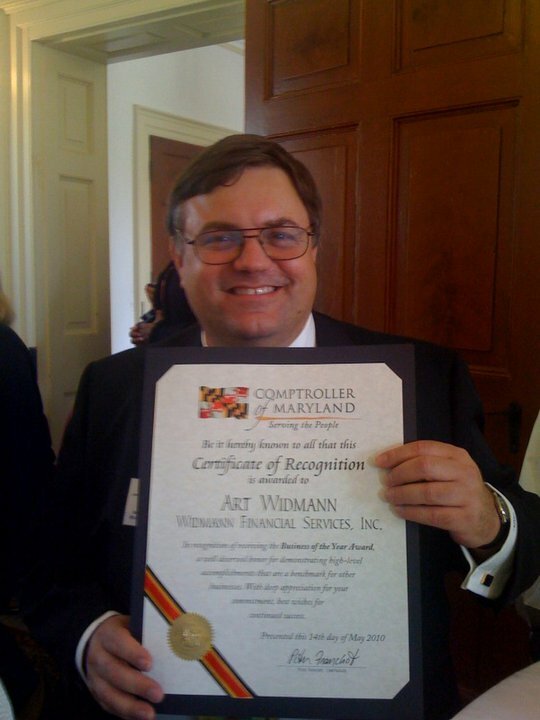 Although Mr. Widmann's background was in institutional pension consulting, he wanted to work more with individuals, charities, and small businesses. Mr. Widmann started the practice providing fee-based financial analysis and performance measurement services to local money managers and small businesses. As the client base increased, so did our need for additional services and support. Over the years, we have conquered that challenge by building a successful team and becoming a full-service financial planning firm. 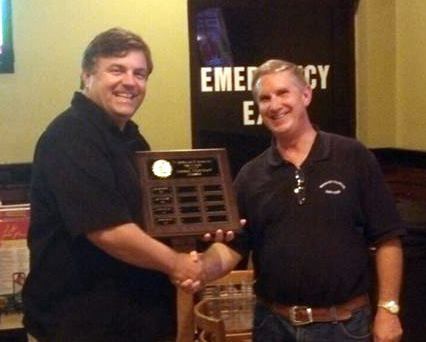 Congratulations to Art Widmann and Widmann Financial Services for being chosen "The 2010 Business of the Year." 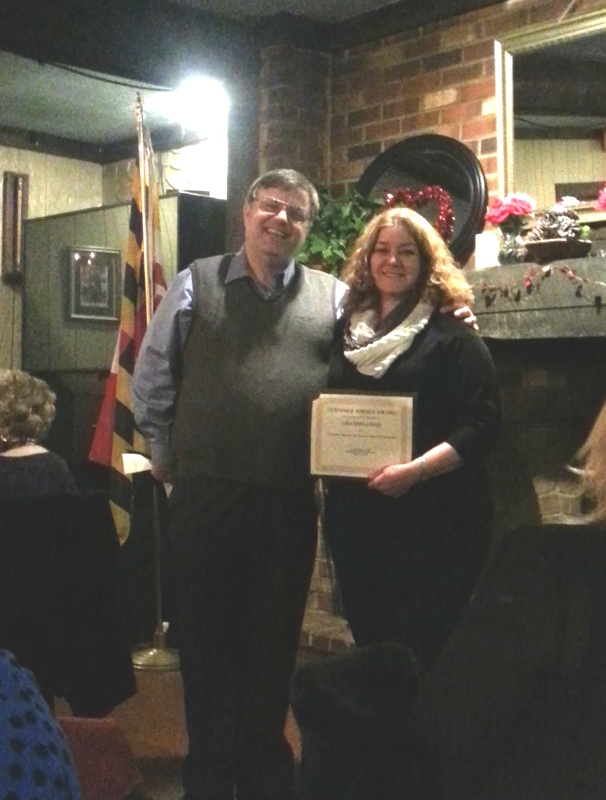 Widmann Financial Services was selected by the city of Bowie and the Greater Bowie Chamber of Commerce. The Silver Beaver Award: Art Widmann is one of 22 volunteers selected to receive the Silver Beaver Award. The Silver Beaver is national recognition for service to the local council of the Boy Scouts of America. This award is the highest honor an adult Scout volunteer may receive through the local council and is given for service in three equal categories: service to community, service to youth involved in Scouting, and service to youth outside Scouting. Approximately one out of every 1,000 volunteers is so honored. Congratulations, Art! This communication is strictly intended for individuals residing in the states of AL, AZ, CA, CO, CT, DC, DE, FL, GA, HI, IL, IN, LA, MA, MD, ME, MI, MN, MO, MS, NC, NE, NH, NJ, NV, NY, OH, OK, PA, RI, SC, SD, TX, UT, VA, VT, WA, WI, WV. No offers may be made or accepted from any resident outside these states due to various state regulations and registration requirements regarding investment products and services. Investments are not FDIC- or NCUA-insured, are not guaranteed by a bank/financial institution, and are subject to risks, including possible loss of the principal invested. Securities offered through Commonwealth Financial Network®, member FINRA/SIPC, a Registered Investment Adviser. Advisory services offered through Widmann Financial Services are separate and unrelated to Commonwealth.